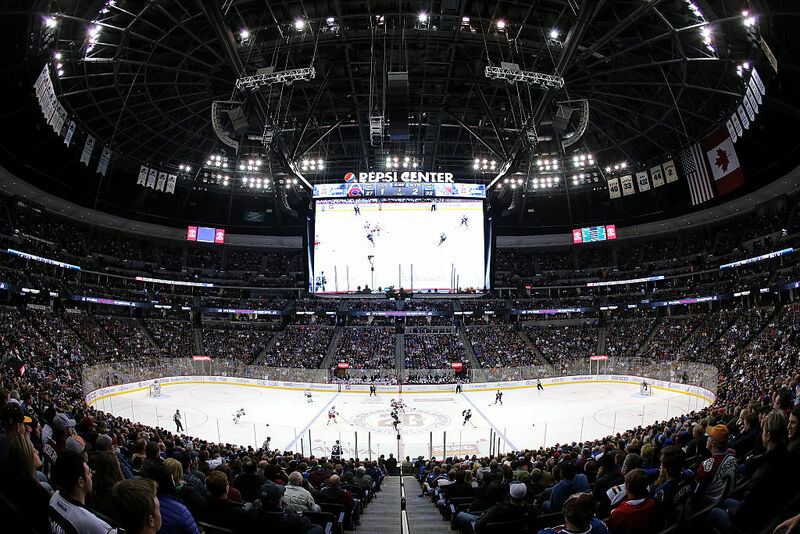 DENVER -- The Sabres played here Saturday under the watchful eyes of the Pepsi Center's massive scoreboard. Installed in 2013, it remains one of the behemoths of the league at 27 feet high by 48 feet long and was the first answer to Tampa Bay's 28-by-50 display that was erected in 2012 and has long been the league's gold standard. As the Sabres ponder a laundry list of upgrades to KeyBank Center with the arena falling way behind its 1990s counterparts, replacing the current HD video board could be one quick way to generate some goodwill among patrons rightfully complaining about broken and dirty seats and mediocre, overpriced concessions. Scoreboard Wars are heating up in the NHL and the Sabres would do well to join the party since their video display dates to 2007. The team is well aware of its needs around the arena, including on the technological end, but remains mired in study and funding mode while other cities are moving forward. So Buffalo waits. Meanwhile, the arenas in Philadelphia and Washington that were also born in the '90s are in the midst of major renovation work and will be taking their video displays to the latest level of technology next season. What's next for Buffalo's aging KeyBank Center? Philly's Wells Fargo Center will be installing what's billed as the world's first Kinetic 4K center-hung board in time for the Flyers' and 76ers' 2019-20 campaigns. The $15 million project is part of a three-year, $250 million transformation of the facility that will be completed next season in a building that opened in 1996 – the same year KeyBank Center opened. What's unique is that the board is not just a standard fixed screen hanging from the ceiling. It will have what's billed as unprecendented ability to transform into a larger extended size measuring 28-by-62 as well as smaller size and will be complemented by 5-by-67 moving trusses that will also feature electronic displays and slide above or below the main board. In Washington, Monumental Sports & Entertainment -- the Pegula Sports-like arm that operates the Capitals and Wizards -- has spent nearly $60 million for things like replacing every seat and upgrading concessions (hint-hint). Its scoreboard, also dating to 2007, is going 4K as well and will feature a 360-degree screen rather than two large displays on the sides of the ice/court and two smaller ones on the end. It will also include a retractable LED ring at the bottom to enhance viewing for those essentially underneath it who sit by the glass or the court. An added twist is that the building will also be installing the first “SkyRing” display in an indoor arena, a 9,000 square foot LED board that will wrap around the roof line above the 400 level. It's similar to the circular board at the top of Atlanta's Mercedes-Benz Stadium. In recent years, massive new boards have been installed in places like Toronto, Winnipeg, Montreal, St. Louis, Minnesota, Arizona, Florida, New Jersey and Anaheim in addition to the giant screens marking the new arenas in Edmonton, Vegas and Detroit. It's time here. More than time. A shiny new scoreboard won't fix all that ails with KeyBank Center -- on the ice or off. And it won't be a great addition if the Sabres just use it to continue to "oversponsor" every element of the game like they do now. But you have to keep up with other cities. Fans demand it. Action: Mark Stone signs his extension with Vegas for eight years and $76 million or $9.5 million per season if you're scoring at home. Reaction: Jeff Skinner and his agent have to be happy. Skinner is having his fourth 30-goal season while Stone has never had one. Now, Skinner isn't likely to get Stone money in part because Stone is a better points producer and a much better defender who is Selke Trophy material. But you have to believe Stone's number is certainly going to be an added talking point as Skinner's representatives continue to chat with Sabres General Manager Jason Botterill. It continues to be this corner's view that Skinner and the Sabres will reach a deal without much acrimony, with the final figure coming in at somewhere between $68-$72 million. Perhaps Skinner could get a little more in free agency but he won't be playing two hours from home or on Jack Eichel's wing. Looking elsewhere simply doesn't seem to be on his agenda. It will be a sad day for notebooks and microphones across North America when Ken Hitchcock retires for good from NHL coaching. There is nothing in this league like a good 10-minute chatter session with the man everyone calls "Hitch." We've heard Phil Housley talk about the Sabres "checking detail" or lack thereof all season. When Hitchcock was in town with the Oilers last week, he strongly backed up Housley's assertion that it might be the most important aspect of a team's game. "All the teams that are playoff teams check really well. They're just relentless on it," Hitchcock said. "You look especially out West in the Pacific Division, those teams doing really well check us to death and then let their skill take over. We're starting to learn what type of focus is needed for that, the consistent performance, second and third effort necessary for that." And while Sabres fans -- and perhaps certain media members -- are tired of hearing it, Hitchcock said an organization's patience is a major piece of the puzzle. "We're growing, Buffalo is growing. You feel like you've grabbed it and then it leaves you for a little while. You're trying to get to that aspect of your game," he said. "You look at all the good teams, they win all the games where they're tied for long stretches. The game is tied and then they end up winning it but they're in control of the game because the other team is getting nothing and eventually you crack and break. "That's what we're trying to teach our guys is just to be patient. Being tied 1-1 halfway through the hockey game is a good thing, not something you should be nervous about." Teams spent all week paying tribute to late Detroit legend Ted Lindsay, who died Monday at age 93. "Ted 7" was painted on the boards at all corners of the league's 31 rinks through the weekend. It was interesting to hear how players were cognizant of Lindsay's contributions in helping to found the NHLPA in 1957. The Ted Lindsay Award is given to the most outstanding player as voted upon by the players and Edmonton's Connor McDavid said it was an honor to meet Lindsay upon receiving the award in 2017. "We all grew up playing this game, loving this game and you want to see how the game got to where it is today," McDavid said when he was in town last week. "He's obviously someone who played a huge role in it starting the PA and giving the players a voice. It's pretty special what he's done for the players." *Yes, Bruins play-by-play man Jack Edwards is one of the worst homers in the league and might be a very acquired taste. But there's no denying he comes up with the verbiage while making the calls of big moments. To wit, here's how he wrapped his call of David Krejci's overtime goal Tuesday night against Carolina, which was in town wearing its green Hartford Whalers throwback jerseys: "The Bruins come from two down, fend off Carolina and strip the Whale of its blubber. Burn 'em." OK, it's obnoxious. But pretty original, too. Especially at the spur of the moment. *Speaking of the Bruins, they beat the Panthers, 4-3, Thursday night as defenseman Matt Grzelcyk scored the tying goal with 37 seconds left in regulation and Patrice Bergeron got the winner with 7 seconds left. It marked just the 10th time in NHL history a team got the tying and winning goals in the final minute of regulation and the first time anyone has done it since Ottawa stunned Columbus on Oct. 22, 2011. *The Devils might have opened the worst road trip of the year for any team in the league with Friday's 3-0 loss in Washington. They played Saturday in New York against the Rangers before heading West: Tuesday in Calgary, Wednesday in Edmonton, Friday in Vancouver and the capper on March 17 in Colorado. Ten days out of town when you're fighting to stay out of 15th place in the East is bad enough. But when New Jersey finally returns home for games on March 19 and 21, who are the opponents? Washington and Boston. Yeesh.